Even as the adrenaline is pumping as he snowboards down a mountainside in Andorra, Steff Wright, 53, is a very down to earth businessman – with a bit of a wild side. 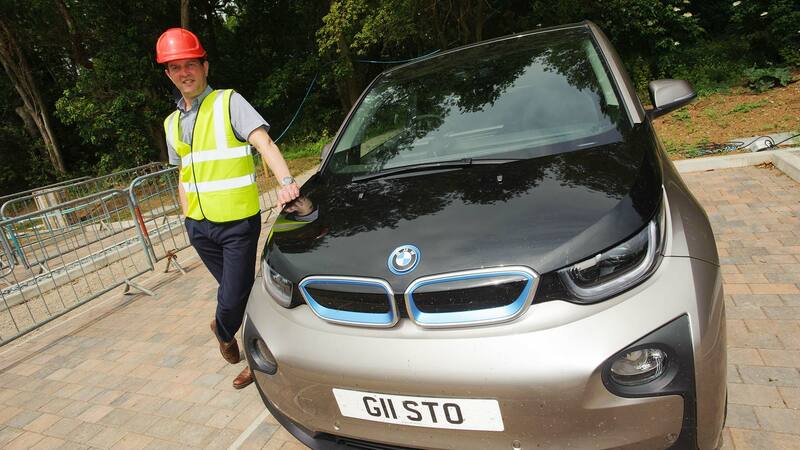 He started his working life as Dr Gusto – a mobile DJ, but after many years the name has transformed to Gusto Group, the company responsible for the new pioneering eco-homes in Lincoln. This feature interview was first published in issue 37 of the Lincolnshire Business weekly magazine, now available to read at www.lincsbusiness.co. Subscribe to the email newsletter to receive the latest edition in your inbox this Friday. Steff went back to college so that he could gain a qualification at the same time as running his mobile disco business. “Because I hadn’t done particularly well at school and I hadn’t got any qualifications, but I was always quite interested in learning, I went back to college and did two years to get my building diploma. Once Steff received his diploma, he started doing general building works during the day whilst still DJing at night. “It was about having a skill and being able to earn a living. Being a builder seemed like a good thing to do. In 1998, Steff’s big ideas just kept coming. He was always interested in ideas that were that little bit different. “I bought a site in Collingham and I got planning for 24 houses on it. It was at a time where the government was really pushing the whole idea of sustainability. “As a word, ‘sustainability’ is not something that I had really heard of before. I had built new houses and I had done lots of barn conversions and renovation jobs. Then all of a sudden, I got this opportunity to buy a decent size site, which was then the biggest development we’d done. The full cover interview with Steff Wright is available to read in full here. Look out for the next edition of Lincolnshire Business magazine, which is published every Friday.